This addition was made to improve rear-view visibility and help prevent backover accidents. On Tuesday, September 24, 2013 it was announced that rearview video systems would be added to the National Highway Traffic Safety Administration’s list of recommended features under it’s New Car Assessment Program. 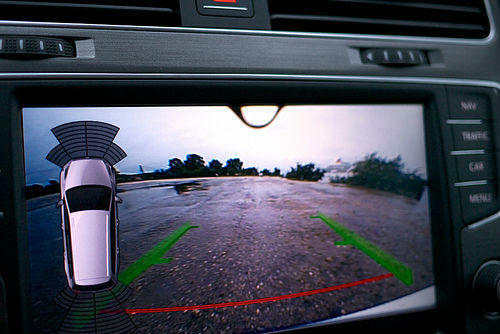 According to the NHTSA it will include the video systems into their New Car Assessment Program by first identifying vehicle models that have video systems on www.safercar.gov. Then as soon as they are able to verify basic criteria is met, they will recognize those vehicles on the same website as having this recommended advanced technology. While some are pleased with this addition, many safety advocates claim it is “insufficient” and say cameras should be mandatory. In fact, some groups claim this action is merely a stalling tactic to avoid fulfilling a regulation now two and half years overdue. The law, passed in 2008, called for a rule on rear visibility. The Department of Transportation has extended the deadline twice, first in 2011, and again in 2012. While seven in 10 new vehicles are equip with rear-view cameras, either as standard equipment or as an option, safety advocates claim that the governments failure to act is allowing the number of backup accidents to grow. The U.S. Department of Transportation has reported that each year more than 200 people are killed and 17,000 are injured in backover crashes. Around 44% of the fatalities were children under the age of 5. The driver’s in these accidents were often parents and family members. Vehicles have the ability to cause much damage to pedestrians, especially small children. Whether you have a rearview video system in your car or not, it is always a good idea to check your blind spots before backing up in your vehicle. Advances in technology, coupled with good driving habits, will no doubt play a vital role in lowering the number of backover accidents that occur. If you or a loved one have been injured in a backover accident, call The Hoffmann Law Firm. We can evaluate your case for free and help you determine what your legal options are. To schedule a free and private consultation call us today at (314) 361-4242 or fill out our online contact form.